All week days except Saturday and Sunday and Vietnam Holidays. 8.00 AM to 17.30 PM Vietnam time working days. Apply for a traveler, who need to enter/exit Vietnam at least 2 times within a given period of time. Online payment by credit card via Onepay system. Paypal - very convenient for those who have Paypal account. The proceeding hours are counted only when the full payment and all required application information details accepted by the Vietnam Immigration Department. Incase Vietnam Immigration Department request additional documents, then may delay the processing without further explanations, it will not be our fault. In case of natural catastrophe, Vietnam Immigration Department system error, etc. that we can not process your urgent visa, we will process your application as a normal case and will refund you the difference between two types of visa processing time. Our service provided is completed once the letter of approval for visa is sent to the email address you submitted to us within the processing time above. You are required to acknowledge us the receiving this letter. We are not responsible for any delay/loss caused by the wrong email addresses supplied by applicants or the situation that applicants do not notify us by email that approval letter is not received. Mistakes are unavoidable. We suggest that you check the your details before you submit to us and the details on the approval letter you get from us carefully. If you find your errors after you submit, please inform us immediately. 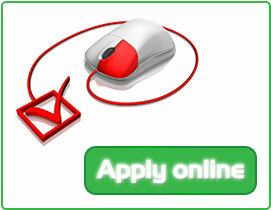 As normal, just after we receive your application, we apply for your Visa to Immigration Department immediately. So it may be the case that we have to apply your application one more time, then you are responsible for the application fee. If you find any errors on the letter of approval, please inform us immediately. We will apply again without any surcharge. Please note, Letter of Approval for both Visa on Arrival and Visa Approval can not modified. Once processed, it is fixed. If you have to change your passport before you enter Vietnam, then your Approval letter is no longer valid and you have to apply your Visa to Vietnam again. We strongly recommend that you check your visa confirmation letter against your passport and personal information prior to departure. Normally, it takes 2 working days to process an approval letter, however, there are also exceptions, delay due to unforeseen problems since the process is total dependent on the Immigration Department of Vietnam. We strongly recommend that you apply for a visa at least 10 working days in advance to avoid any problem. The letter of approval normally is issued separately for each application, however, in some cases, it is issued on a shared basis for all applicants who apply for a visa at the same time. This is the Vietnam Immigration Department sole decision. If you need separate letter of approval, kindly notify us at the time you submit your application.